James takes great pride in the quality of his work and in his relationships and expects a similar standard from those he works with. James enjoys empowering his staff and places an onus on their growth, development, and success at work. 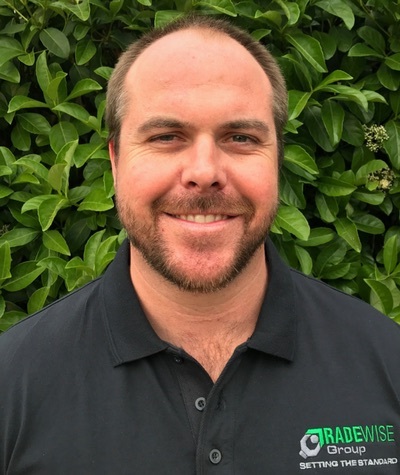 Prior to establishing Tradewise Group, James completed his Mechanical Apprenticeship achieving first place in his studies, earning him a Rotary Award for Pride of Workmanship and a nomination for Australian Apprentice of the Year in 2003. After 5 successful years as Service Advisor under the guidance and stewardship of several talented managers at a prominent Sydney Mazda Dealership, James joined a reputable pump company where he quickly stepped into the role of Senior Service Manager, followed by General Manager. During this time, James completed his MBA. After a decade of hard work within the building services industry, James spent one year outside of the industry and now co-manages Tradewise Group. In collaboration with his business partner, James’ mission is to build a market leading Service Company dedicated to quality, reliability and responsiveness. When away from the office, James enjoys riding motorbikes with his three kids up at the farm and spending quality time with his wife, family, and friends.